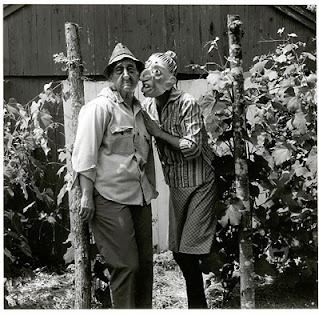 ﻿Ralph Eugene Meatyard was born May 15, 1925 and passed away May 7, 1972 at age 46. 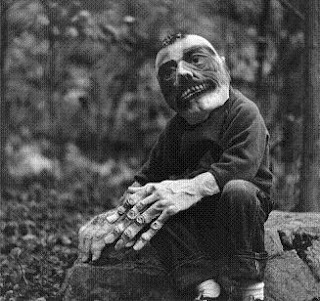 Meatyard is known for creating photographs using dolls or masks as props. I must say that after looking through some of his work, that I found most of it a little creepy, especially the masked figures I have placed above. The people are dressed and posed in an everyday fashion, but their faces make them appear a little frightening. It is an unexpected surprise to see their faces when looking at the photographs.